I think fashion is all about taking inspiration and turning it into a masterpiece; this Nigerian designer exemplifies that perfectly. West African customs fueled Lisa Folawiyo’s creativity and led her to push the limits of her nation’s traditional style. 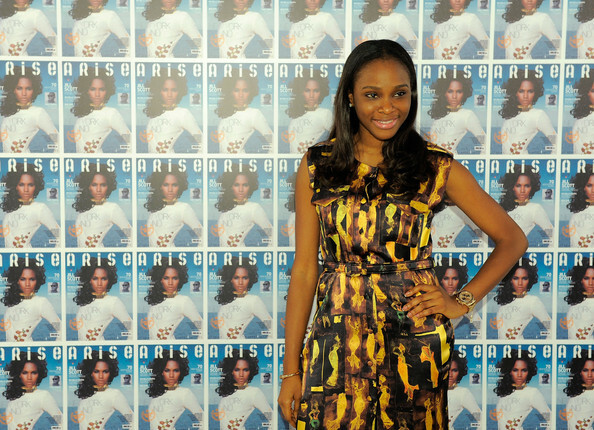 Lisa Folawiyo introduced the international fashion industry to Ankara, traditional West African fabrics. The passionate designer embellished the unique fabrics with sequins, jewels and beads, leading consumers around the world to fall in love with her clothing and accessories. Not only have famous fashionistas like Kendall Jenner, June Ambrose, Catt Sadler and Solange Knowles been spotted rocking the designer’s stunning pieces, other top designers around the globe have found inspiration in Folawiyo’s vibrant collections. Burberry, L.A.M.B. and Boxing Kitten are only a few labels that have caught Ankara fever. Since Folawiyo’s 2005 launch of Jewel By Lisa, numerous American and European designers have added the bold textile with bejewelment to their collections. “I can confidently say that Jewel By Lisa was the originator of the embellishment of Ankara, which we see today everywhere,” Folawiyo said in an interview with BBC News. Folawiyo’s collections usually consist of popping colors and eye-dazzling illumination. However, with cold weather approaching, she has darkened her pieces and made them rich with appropriate fall and winter flair. “[The collection] has more of a chic and sophisticated look for subtle, yet cute fall style,” MU freshman Alexis Williams said. This intriguing Autumn collection contains clothing that resembles traditional African garments with a twist of modern fashion. It is perfect for true fashionistas who love to make a statement! The asymmetrical dresses and skirts can easily be paired with simple accessories and tops, still leaving a bold statement without doing too much. Some of the dresses and tops are adorable for a night out! There are even black and gold tops and black leather bottoms tucked away in the collection; these pieces would be perfect for a bit of high fashion tiger pride! To find out more about Lisa Folawiyo and her collections, visit her official website.